Discover the highlights of Brisbane on a 4-hour bus tour that takes in sites such as Mt Coot-tha, Newstead House, Government House and more. Learn about the city from live onboard commentary and make eight stops, including two extended stops. Make your own way to the meeting point in central Brisbane to board your air-conditioned bus for your morning city tour. As your driver takes you around the city, you'll hear live commentary about the early history of Brisbane while passing historical sites such as the Tower Mill, City Botanical Gardens, Government House, and Parliament House. Stop for extra time at Newstead House, the oldest residence that remains in the city, then get a look at modern-day hotspots such as the Suncorp Football Stadium, Caxton Street, and Paddington. Check out Fortitude Valley and Chinatown, and get the scoop on the trendy New Farm and Teneriffe districts. 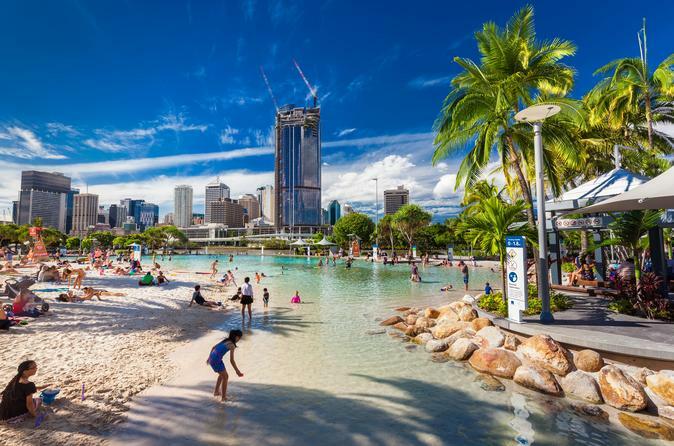 Cruise through the popular South Bank area and snap photos of the Wheel of Brisbane. Ascend Mt Coot-tha for an overview of Brisbane from the lookout point and cafe, then drive through the Mt Coot-tha Botanical Gardens. From Kangaroo Point Cliffs, you can see Story Bridge, Brisbane River, and the skyline. Your tour ends after four hours with return to central Brisbane.